The picture above is of a Liberal, an Atheist, a Progressive, a Democrat, a Killer, but you wouldn't know that fact from CNN, or ABC, CBS, NBC, MSNBC News. While the Liberal Mainstream Media blast the killer of 3 Muslims young folks in North Carolina as being a "Right Wing Christian," the truth is being hidden from the American people. He is in fact a hard-core Atheist, a Liberal, a Progressive, a registered Democrat. It's true! The killer of the three Muslim students at the University of North Carolina at Chapel Hill were actually murdered by a crazed Progressive Atheist. While it was big news when the Mainstream Media started calling him a Conservative, a Christian, a Republican, they are now is full retreat as the story has shifted to how their bias is ignoring the fact that the mas murderer was not a Christian and a Conservative -- but in fact one of them, an Atheist, a Liberal, a Democrat. Yes, he is probably an Obama supporter. The victims, Deah Shaddy Barakat, 23, his wife, Yusor Mohammad, 21, and her sister, Razan Mohammad Abu-Salha, 19, were shot and killed by Craig Stephen Hicks, age 46. Yesterday morning’s killing of three Muslim students in North Carolina quickly unleashed angry Liberals screaming out that this demonstrates and justifies President Obama's statements regarding "Christian Extremist". The term “Islamophobia” was batted around, and some pointed fingers at "Angry Conservatives," and "Hatefilled Christians." And yes, Conservative Blogs and FoxNews are said to be accomplices to mass murder. 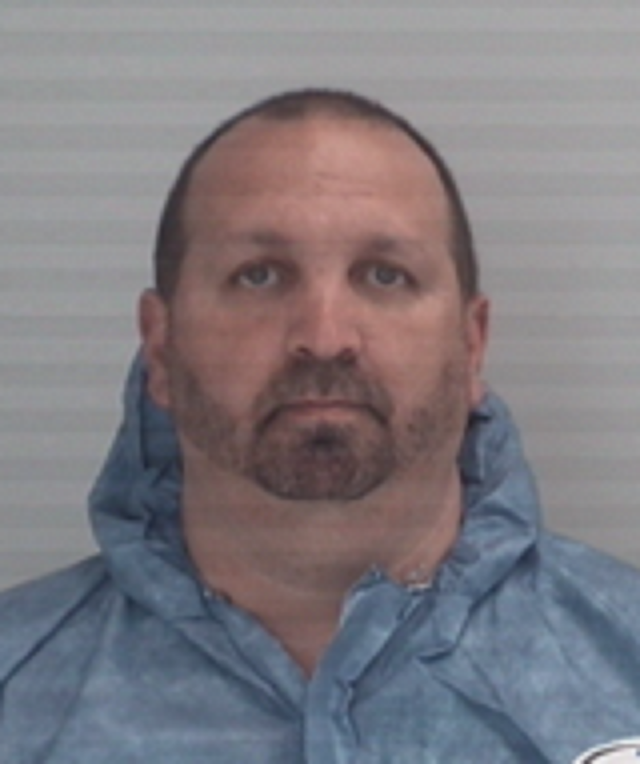 But then, suddenly the story revealed that the murderer, Craig Stephen Hicks, was in fact an avowed Atheist and not a Christian. And yes, beyond being an avowed Atheist -- Hicks is a “Militant Atheist,” who has raved and ranted his hatred from Christians and Conservatives. Yes, turns out that the gunman Craig Stephen Hicks was a died-in-the-wool Left-Wing Progressive who has been a staunch Obama defender. The New York Times reported on the murders and mentioned Hicks’ Atheism, but not his politics. CNN did the same, as did The Washington Post. 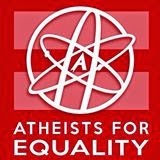 Yet even a passive look at his Facebook page reveals Hicks as not only a rabid Atheist, but a passionate Progressive and Democrat supporter..
A review of the Facebook page of the man charged in these murders, the murderer Craig Stephen Hicks, shows a consistent theme of anti-religion and Democrat causes. Included among his Facebook “LIKES” are the President Obama, Nancy Pelosi, the Huffington Post, Rachel Maddow, the Southern Poverty Law Center, Freedom from Religion Foundation, Untied Atheist of America, Militant Atheism for the Soul, Anti-Theists, Activist Atheists Fighting Religion, Gay Marriage groups, and a host of anti-Conservative, anti-Tea Party pages. In other words, he was a true supporter of the Liberal Left. Yes, he drank the Kool Aide! Obama would be proud of this jerk, he believes everything he is told by the Left. And how about calls for gun control for those nasty Assault Rifles which the Liberal Left sees in every shooting? Well, there are reasons the Left-Wing Media and Democrats in general aren't using this to call for a more gun control. First of all, the murderer Craig Stephens Hicks is a Radical Left-Wing Progressive, a Democrat, and as the media wants us to believe -- one of their own is incapable of such execution style murders. Yes, the fact that this Atheist executed these three execution style is the second reason why the Left doesn't want to call for more gun control. That and the fact that Hicks didn't use an Assault Rifle and instead used a simple .38 caliber pistol to shoot each of his victims at close range in the head does lend them the ammo the Left needs to call for more restrictions and regulations.. 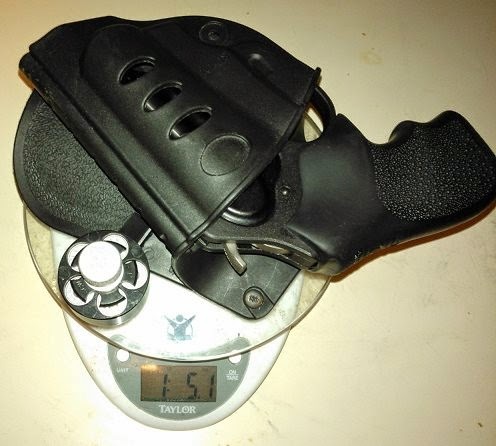 The killer Hicks posted this along with the picture above on Facebook, "Yes, that is 1 pound 5.1 ounces for my loaded 38 revolver, its holster, and five extra rounds in a speedloader." Hicks also posted many anti-Christian photos supporting Atheism. After looking at his Facebook page, I really believe that this was indeed a Religious Hate Crime and not just a spontaneous act. His hatred for Christians is only matched by his hatred for all other religions. Reading his Facebook page, I'm very surprised he didn't kill Christians instead of those Muslims young folks. But then again, I do believe he was just one more wacked out Liberal on the edge and the tipping point was a parking stall of all things. Given the fact that he murdered three people in cold-blood, it is worth noting that his Facebook cover photo is quite ironic. It is a sorry commentary on the Mainstream News when they would rather drop a story instead of chase it down to find out the truth of why it took place, especially when the reason they refuse to chase down the truth is that it conflicts with their own sense of who is to blame for the ills of the world. It is a sorry fact that Hicks’ Facebook page gives any crime reporter, any law enforcement agency, the motive as to why Hicks did what he did. As an Atheist, a Far-Left Progressive, a Democrat, he sees religion as the enemy. And yes, his Liberal politics are being ignored by the New York Times, the Washington Post, CNN, and the others Liberal Mainstream News agencies such as ABC, CBS, NBC, and MSNBC. The news report from Reuters fails to mention the victims’ religion and makes no mention whatsoever of Hicks’ atheism or far-left wing political ideology. This is a fine example of Liberal Media hypocrisy at its finest.